Yes, we have a guide that sets out the location for the Lok-Up within the parking bay. 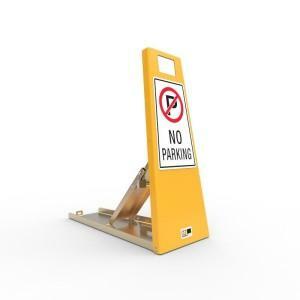 The Lok-Up’s were designed specifically for protecting car parking spaces from unauthorised use. They are the only product we recommend for this application. A hole will need to be predrilled into the surface and ensure the hole is clean from dust. Simply install the Hilti plug and place the barrier over the area. Place the washer on the fixing point and simply fix the coach bolt into the Hilti plug.